30 Day Free Trial. Cancel anytime. Equivalent of $8,021.47 when purchased individually! 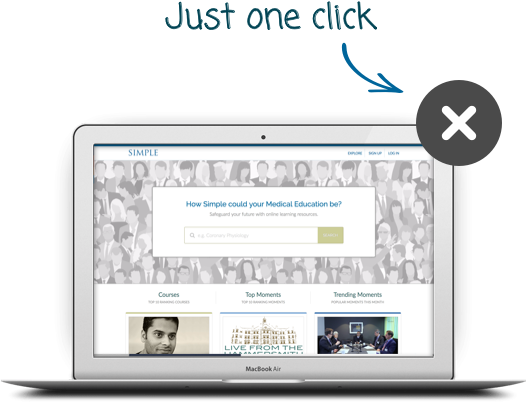 Get access to exceptional course content in speciality areas such as iFR, FFR and IVUS. Full, unlimited access to 4,233 videos worth $8,021.47 when purchased individually. Watch webinars and round tables with leading experts in Intervential Cardiology. We're sure you'll love Simple Premium but if you decide it isn't for you, no problem. There's no commitment - cancel online at anytime. 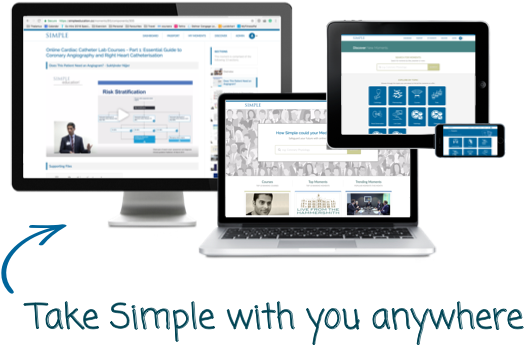 Simple Premium works great on your mobile, tablet, laptop or desktop computer, so you can take your Simple content with you wherever you go. 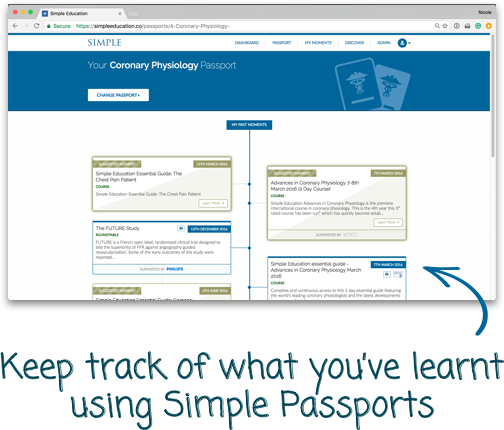 Organise your content with Simple Passports, arranging your content by medical subject area, and keeping track of when you've learnt each new topic that will help you with your career.